The six-year standard drive-line warranty is based on the study of operation in life-cycle of over 20 lakh Tata Motors trucks and tippers operating all over the country. The country’s largest truck and bus-maker Tata Motors today announced a six-year warranty for its entire range of medium and heavy vehicles range of commercial vehicles. 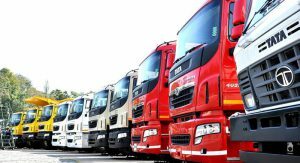 Tata Motors is the first auto-maker in the country to introduce a standard driveline warranty of six years on the entire M&HCV range including tractor-trailers, and multi-axel trucks & tippers,” the company said in a statement.